In Cartagena (Spain), January offers a unique opportunity to get an insight into one of the most genuine quarters of the city and its people: San Antón. Mediterranean Unique Experience‘s team pops in to experience San Antón’s fest. 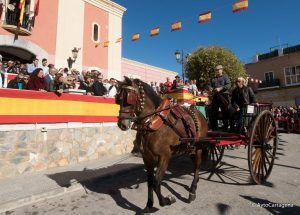 The neighbours from San Antón gather during the first days of the year to honour their patron saint San Antonio Abad(St. Anthony the Great) through an extraordinary display of enticing local gastronomyand traditional rites. Locals and tourists never miss the chance to enjoy this authentic, long-standing festivity that has been celebrated for nearly 200 years. There are many reasons to drop by San Antón at this particular moment of the year such as paella from huge pans, games and workshops for children, theatre plays, music performances or sport tournaments. But the core of the festival revolves around three main events, namely, the pilgrimage -romería- in honour of St. Anthony, the pulpo a la cartageneratasting –a delicious roast octopus dish seasoned with oil, vinegar, salt and lemon-, and last, but not least, a Christian blessing for pets officiated in the church’s square! The origins of this festival dates back to the mid 1800s, when the neighbours in the area started the pilgrimage or romería to honour their saint patron, St. Anthony. This pilgrimage has seen little change ever since and consists in a short jaunt from the cemetery’s chapel towards the heart of San Antón’s quarter to the rhythm of a band of cornets and accompanied by some sensational parading horses. Walking through San Antón’s streets at this time of the year can be a truly unique experience when it comes to gastronomy. Traditional local cuisine is especially prepared for the festival and sold at counters set in the streets by the local bars. 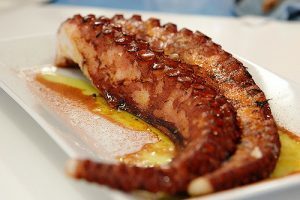 Octopus is usually the favourite dish ans its enticing scent is common in every corner. But if the octopus is the savoury champion, Rollos de San Antón are the sweet equivalent. They are some sort of hand-made, aniseed cookies made of flour, water, oil, sugar and, of course, anisette, and are believed to bring fortune to those who buy them and couple those who are lucky enough to steal one! They are so toothsome that they are really easy to find, actually in most of the bakeries and patisseries in Cartagena. After some jolly days feasting, the Blessing of the donkeys takes place every 17th January-St. Anthony’s day-, gathering hundreds of people from in and out of the city at the church’s square in San Antón. Many usually take their pets to the venue so that they can be blessed by the parish priest with holy water. Cats, dogs, bunnies, horses and even snakes can easily be spotted that day, making of San Antón a fair reproduction of Noah’s ark! 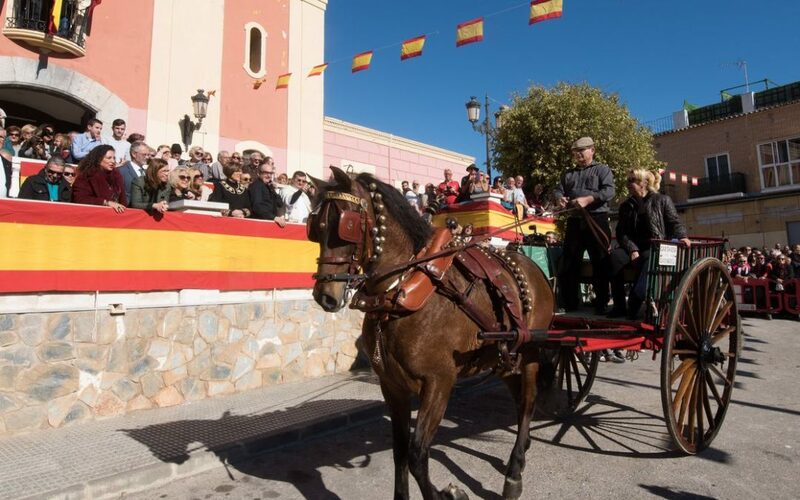 The festival concludes with other events such as the Flower wake-up call – La Diana Floreada-, the Great Vermouth Ball-El Gran Baile del Vermú- or the Patron saint parade. If you are planning to make a cruise to the Mediterraneanor you already are aboard and you are looking for the best shore excursions, come with Mediterranean Unique Experience to visit Cartagena. You will be amazed by its culture, traditions, people and festivities!